It has been aptly said that in development economics, more than a scorecard of passive data and numbers, the true story is best perceived by naked human eyes. I bear testimony to the veracity of this adage, having recently returned from Astana, after attending a most stimulating deliberation of selected global thought leaders. Apart from the breath-taking scenic splendour of the Central Asian steppes that marks the terrain of Kazakhstan, I was able to feel the pulsating throb of remarkable progress and see for myself the fruits of relentless human endeavour. It was my privilege to have become a member of what is known as the Astana Club, a unique platform of idea-sharing inspired by the vision of a leader of great wisdom and admirable sagacity, President Nursultan Nazarbayev. Today, we are all aware of the fact that we live at a volatile time, characterised by numerous challenges. The world has entered into an era of neo-protectionism. State agendas are being driven by growing nationalism and rising populism at the expense of multilateralism and shared values of wider humanity. Nations that once forged international unity now tend to place their own interest first severely stressing those ideals of common heritage and welfare. Trade wars now tend to replace the age-old concepts of mutual profitability from commerce. Importantly, threats of new kinds of conflicts as cyber war with horrendous consequences lurk beyond the rim of the saucer. It was in such a context that this year the Astana Club attracted 11 former presidents, four former foreign ministers, a Nobel peace laureate and over a dozen experts to focus on how to address the challenges world-wide, create a greater Eurasia and build a new strategic architecture on the backdrop of a new geopolitical reality. There were no ready-made answers reached, but we came up with the notion that it has got to be a work in progress. Now what is it that I really saw in the Central Asian republics in general and Kazakhstan in particular? It was a quiet and remarkable economic transition on a scale unseen in a long time. The traditional curse of being landlocked has been converted into a blessing by the creation of land routes for trade with experience culled from ancient silk roads. Of course, infrastructure has been the key to turning the geographical advantage of location into spurring progress and prosperity. There is, naturally, the hard infrastructure: pipelines, railways, highways, and communication networks. These are being buttressed by soft infrastructure, which comprises legal, regulatory and fiscal components. The practical aspects are being carefully assessed. How are the projects to be structured? What must be the local content and labour requirements to foster the growth of human capital? What are the terms of debt, and how is it to be repaid? And, importantly, are the rules and terms involved transparent? There is an obvious attention in Central Asia, and in Kazakhstan, on China’s Belt and Road Initiative (BRI). In fact, the concept was first articulated by President Xi Jinping in Astana in 2013. Undoubtedly, China’s renewed interest in the region, and the much needed capital it brings to bear, comprise a critical pillar of the local and regional strategy. A centrepiece of China’s BRI is the dry inland port of Khorgos, set to become Central Asia’s largest logistic park. Project financing is also being complemented by the likes of the World Bank, Asian Development Bank, Asian Infrastructure Investment Bank, the European Union, the U.S., countries of the Middle East and Japan. While we know that the multilateral development banks ushered the Central Asian countries into global free-market economy in the 1990s, Public Private Partnerships, or PPPs, which have fewer constraints but require more sound business environments, are an increasingly attractive instruments of development. 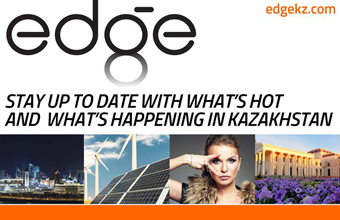 Kazakhstan has emerged as the regional PPP leader. It is now also focussed on wind and solar power development. Recently, President Nazarbayev has emphasised upon areas of the future economy, including renewable energy, big data and the increasingly spoken about technology of the Internet of Things or IOT. In terms of foreign direct investments, Central Asia, and in particular Kazakhstan, being energy rich and possessing favourable regulatory and business practising regimes, has successfully attracted external funding. Major drawers have been natural resources, such as metals and non-tradable sectors, such as real estate development and retail. Kazakhstan’s 2018-2022 National Investment Strategy, developed with World Bank assistance, aims to boost total FDI inflows by 25 percent at the end of the plan period. Of noteworthy mention is the introduction of English common law in trade dispute mechanisms at the Astana International Financial Centre. Indeed, a former U.K. Lord Chief Justice will be joined by eight others to run the first commercial court of its kind in Eurasia. These steps are expected to provide additional fillip to foreign investors. These would include those from the emerging markets of South Asia like India, Bangladesh, Sri Lanka and Pakistan. To conclude, Kazakhstan is a nation in the cusp of great changes. Its leadership, being successful at home, is ambitious abroad. It is a country that has willingly abjured nuclear weapons. In doing so, it was motivated by the desire to create a global setting supportive of peace, progress and contentment. 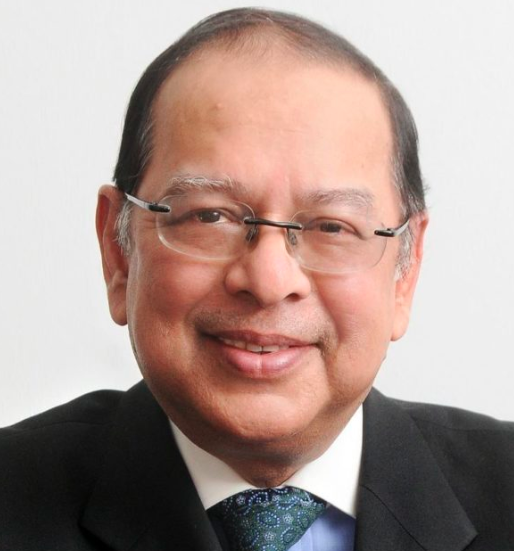 The author is Chief Researcher, Institute of South Asian Studies (ISAS) of the National University of Singapore, ex-Minister of Foreign Affairs of the People’s Republic of Bangladesh.